Many voiced incredulity at the State Government’s decision to change the Alison Road alignment of the CBD to South East Light Rail line resulting in the removal of many old trees. 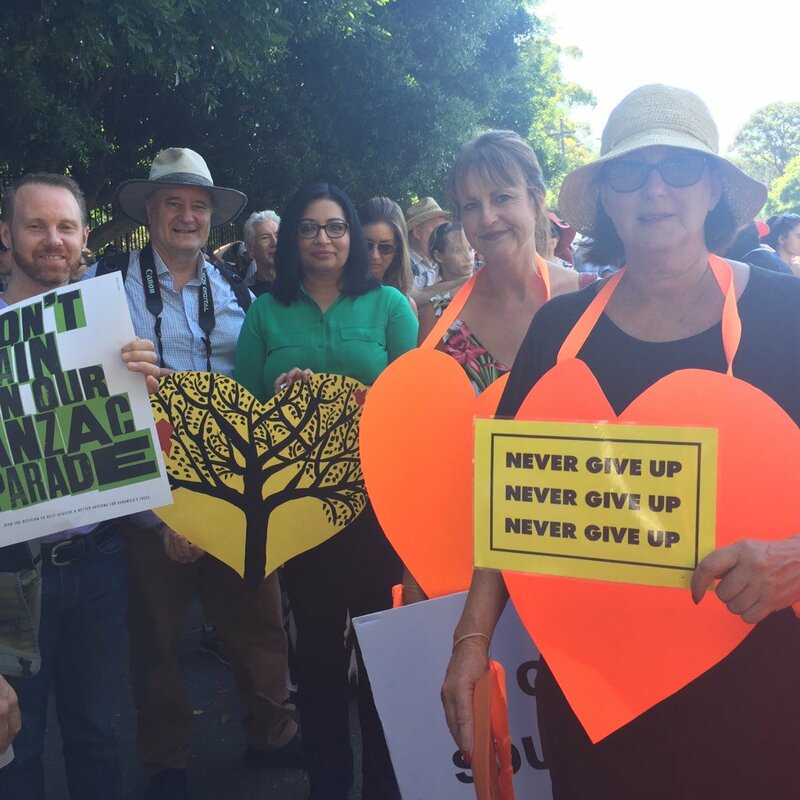 Greens 2016 Wentworth candidate with Randwick Councillor Murray Matson and Greens MLC Mehreen Faruqi at today’s tree rally corner Darly and Alison Roads Randwick. When will Greens face up to the undrerlying causre of these constant attacks on our environment –quality of life and heritage—-population increase—the addicted to growth capitalist economy system which are destroying life on planet earth. Get Real Greens there would be NO LIGHT RAIL PROPOSAL IF SYDNEY`S POPULATION GROWTH WAS ZDERO. Lobby Turnbull now for a big decreadese in immigration and 457 Visa intake –A STEADY STATE ECONOMY NOW.